Your company can increase your sales-qualified leads (SQLs) by 300%, 450% or even 700% in 90 days by using these seven simple digital marketing demand generation techniques. Generating good SQLs that will close quicker has never been more effective or inexpensive than in the last few years. Let me step you through how I helped a relatively small VoIP service provider significantly improve their lead generation and generate more revenue by establishing an ongoing prospecting and lead program built using modern-day best practices and methods. And most importantly, with a relatively small budget. In summary, we generated 1,472 SQLs. 16% of them converted into sales which equaled $423K in monthly recurring revenue (MRR). TCV was $15.2M. My strategy was and always is to get quick wins with the digital assets my clients have. Then build from there. Their monthly recurring revenue for new contracts signed for Business Internet and Business VoIP services ranged from $200 to $5,000​ per month. Contract length was typically 24 to 36 months. At the time, 95% of the company’s marketing budget was spent on banner advertising on consumer and small business websites. They were spending approximately $45,000 on a quarterly basis or $180,000 per year. They had been using this same banner ad strategy for three years. That's $540,000 in online banner advertising. They didn't know how many new leads their advertising investment had been generating. There were no methods in place for tracking and reporting any kind of success. To compound the issue, an inexperienced non-marketing executive was managing the vendor relationship and media budget spend. ​Their number one issue was that they had little insight into how, when or why their banner ads were generating sales-qualified leads that ended with a disposition of closed won or closed lost. Their banner ads had no elements of tracking included like a toll-free telephone number to track the number of inbound calls. There was no simple A/B split testing to gauge performance of landing pages or ads. They had simply placed the ads on websites and were sending the traffic to their top services pages. They were not measuring the performance of their website using Google Analytics. They were not examining the new cohort data that Google Analytics now provides from their website traffic to help better understand their prospects. They had little to no idea which "money" search queries their prospects were using on Google to find their services. This was putting them at a huge disadvantage. They had tried Pay Per Click advertising on Google and concluded that it “does not work.” (Too many companies try PPC themselves or hire an inexperienced person to run their campaigns, which typically fail. It's a mistake to hire a non-Google certified PPC specialist). We surpassed that goal by an additional 472 sales-qualified leads. 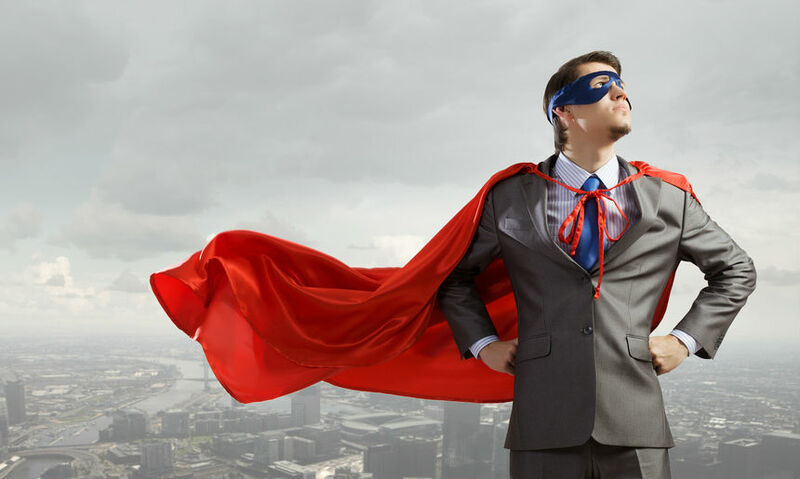 First, let's define a sales-qualified lead (SQL). An SQL has been qualified by Marketing (accurate firmographic data, contact data and some indication of interest in our service) and contacted by Sales that resulted in a disposition to follow up with the prospect within 10 days. In my client's case, SQLs had a lead score of 5+ which indicated that they displayed an interest in my client's services. I cover lead scoring later in this case study. Within the first 90 days our new demand generation program generated 1,472 sales-qualified leads (SQLs). 12% of the SQLs had a sales opportunity contract value of $518,000. 48% had a sales opportunity value of $32M. And the remaining 40% had a sales opportunity contract value of $865,000. That​'s a total of $34M in sales-qualified opportunity value. We spent $67,000 on lead generation. Let me tell you how it was done. We started by creating a plan: The Digital Sales-Qualified Lead Generation Marketing Plan – First 90 Days. Each executive stakeholder had bought into the plan and was committed to holding their teams accountable. My client’s initial investment was $75,000. Whether you’ve got $50,000, $100,000 or $500,000 you can generate a high-volume of good leads that will convert to opportunities. The budget amount is not the issue. It never is. What’s important is how you allocate your marketing budget. Here are the channels and tactics we used. No more, no less. Their website was getting some organic search traffic, referral traffic and direct traffic each month. This traffic was generating some calls and web form conversions but the traffic sources were unknown. To take advantage of this existing traffic we made some easy but fundamental changes that was the first boost to improving sales. Before. The website was too passive. Their best call-to-action was “Learn more” and “Click here”. There was no engaging media on their website like embedded Slideshare presentations or short explainer videos. After. We added strong call-to-actions (CTAs) and created two short (under one minute thirty seconds) videos establishing their brand and explaining exactly how they help their customers. We added CTAs and toll-free numbers within the videos too. 421 Inbound Calls - 10/01/2016 to 31/12/2016. Social and Reviews are critical. Unless you’re a household name, you need to make it easy for your prospects to trust you can do the job. We added links to Google reviews and on the new homepage as well as number of followers on social networks to build credibility. Tracking. We set up Google Analytics tracking for website conversions using Goals. Easy-to-read reports are automatically emailed to the stakeholders. - Allocated Budget: $10,000. Budget Spent: $8,770. - Leads Generated (90 Days): 72 Business VoIP sales-qualified leads and 149 Business Internet sales-qualified leads. Key Takeaway - Help stakeholders clearly define what the most important metrics are so they can clearly understand how their website is performing. Search Marketing includes Search Engine Optimization (SEO), Pay Per Click (PPC) and Remarketing. SEO can be a longer-term tactic for getting qualified traffic to your digital assets. But not always. We performed some simple on-page optimization and got their website on page one for some valuable search queries. The effort generated 100+ new website visitors per day. - Allocated Budget: $500. Ideally, you want to invest at least $1,500. - Leads Generated (90 Days): 69 Business VoIP sales-qualified leads and 80 Business Internet sales-qualified leads. SEO will take longer to generate leads since it takes longer to reach page one for search queries. In the subsequent 8 months, SEO performed the best by generating and converting the most leads. The leads were also 25-50% cheaper to generate. Pro Tip Run some PPC ads over 30 days to see which keywords convert the best then apply those same keywords to your SEO initiative. It will pay dividends. PPC ads played an important part in generating sales-qualified leads. The key to a successful PPC campaign is maintaining a high Quality Score. This is very attainable when you plan your campaigns prior to building. Important: Build and test three conversion-focused landing pages. Your value proposition should be clear and to-the-point. A visitor should “get it” within 5 seconds. - Leads Generated (90 Days): 221 Business VoIP sales-qualified leads and 328 Business Internet sales-qualified leads. Pro Tip Work to get a Quality Score of 7+ and you'll pay much less per click than all of your competitors. PPC is an excellent fast-track lead gen technique while you're launching your other initiatives. Remarketing is the method of dropping a cookie in your website visitor’s browser. 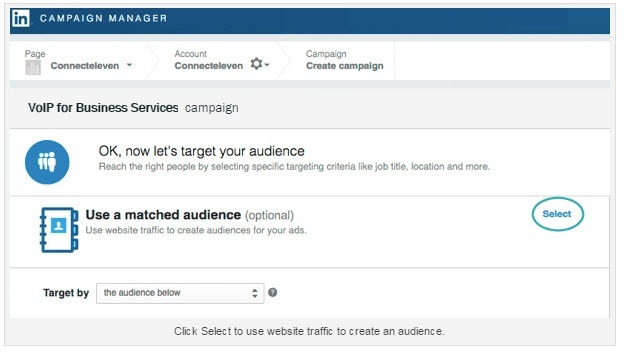 You can target each person with ads by the page they visited on your website and many other ways. When those visitors go to other websites across the web they will see ads for your services or products. 1. Google's Display Network using Google's Tag Manager to retarget. 2. Custom Campaigns on Facebook - Email addresses and website + landing page visitors. 3. LinkedIn already provides a unique and convenient way to target members by company, industry, skills, titles, and more. So we decided to use the Matched Audiences option in the Campaign Manager. This was an extremely effective tactic for sending those same original website visitors back to a dedicated landing page selling our services. - Leads Generated (90 Days): 54 Business VoIP sales-qualified leads and 158 Business Internet sales-qualified leads. Pro Tip Remarket to your prospects on LinkedIn and Facebook and pay pennies for each click. Key Takeaway - Nurturing prospects who visit your website and landing pages with additional value propositions on Googe's Display Network, Facebook and LinkedIn can cost literally pennies vs dollars and will help conversions. Email marketing is a whole major initiative unto itself. We decided to start small and grow the effort. I was confident that we'd see some good results from the onset. It turned out that the email we sent to prospects were incredibly effective. Our pitch was simple. Contact us for a free consultation for the VoIP and Internet features most effective for your business so you can provide better customer service and save money. We sent x3 similar emails each week for three weeks with different subject lines and different call-to-actions. The list size was 50,000 businesses.​ Approximately 2.5% unsubscribed and the soft bounce was 5% for the entire campaign. We used MailChimp (But there are many others) and embedded their forms on our landing pages to track subscribers, un-subscribers and to keep all our email campaigns in one place. - Leads Generated (90 Days): 215 Business VoIP sales-qualified leads and 90 Business Internet sales-qualified leads. Pro Tip When someone clicked on our opt-in link in our initial outbound email with the ebook link, we sent them a follow-up email. In the email, we asked them what their biggest issue is and that we’d like to help them. We were really surprised by how many responses we got. Key Takeaway - Even with a purchased cold list this email campaign generated $35,000 in monthly recurring revenue. What makes or breaks an email campaign is who you source your list from. There are list companies in the marketplace who that generate higher-quality contacts using Big Data. We were going to start a blog but I recommended creating an ebook first. Blogs tend to become unwieldy and ignored unless you’ve got a good plan and editorial calendar in place. However, this is a great longer-term inbound strategy. The strategy was to develop an asset we could use to give away and pre-qualify prospects so we focused on an ebook that walked prospects through the challenges of hiring the right contractor to build your dream custom-built home. We built a landing page and promoted the ebook on LinkedIn and Facebook. It worked incredibly well. The Facebook campaign alone generated over 50 good leads. - Leads Generated (90 Days): 128 Business VoIP sales-qualified leads. Pro Tip Make sure the content is focused on your prospects’ pain points. Also, be sure there’s a good response to every objection you or your sales team face when talking with a prospect. Key Takeaway - Have Your Inbound and Field Sales teams share (email or message) your ebooks and blog posts with their SQLs. It's a personalized touch that can go a long way if the content is targeted and insightful. A CRM system is essential for tracking leads, which is why my client invested in a Salesforce.com (SFDC) license for their sales reps. Prior to SFDC, they’d been using spreadsheets and notes. Not ideal. Bounce Rate - How many prospects visited one page of your website and then left without clicking to another page. Traffic Sources - Where the traffic that is converting into SQLs is originating from. For example, Google PPC campaigns, LinkedIn or Facebook Remarketing or an email campaign. Quality Score - Google metric for good keywords that match against search queries in PPC ads. They're the best indicator that your PPC campaigns are optimized to get you a position 1 on page one with a low cost per click. Work to attain a 7+ Quality Score. This led to many low-cost SQLs for my client. CTAs - Which call-to-actions, for example are generating good conversions. Here are three CTAs that worked well for my client: “Contact Sales”, “Get a Quote” and “Request Information”. TFN Inbound Calls - The number of inbound calls with a CTA, "Call Sales" from toll free telephone numbers (TFNs). Suspect to Lead Conversion - The prospect was interested in our services and wanted to meet us to discuss the services we provide that they may need. Lead to Opportunity - A price quote was provided to the prospect, which subsequently made them an opportunity with a revenue value. Pro Tip Establish a fair but firm service level agreement (SLA) with the sales team for contacting leads. We worked hard to generate the sales-qualified leads and Marketing expected each sales rep to contact the lead as quickly as possible. Our agreed SLA contact time was 15 minutes or less. Key Takeaway - If you're not looking at Key Performance Indicators (KPIs) and other metrics for all your digital assets via Google Analytics then you're at an extreme disadvantage. Get a Google Analytics expert to create custom reports that reflect performance important to you as a stakeholder. What is Lead Scoring? Lead scoring gives your company an objective system to automatically rank and prioritize leads. I used the following criteria for my client's lead scoring: the prospect’s profile (title, location, service type they’re interested in etc. ), their behavior (website visits, downloads, events etc.) and some others key performance indicators (KPIs). We finally had a solid method and threshold for my client to use so they knew which leads were cold, warm or hot. Pro Tip Don't make your lead scoring complicated. You'll fall into analysis paralysis. Keep it simple. For example, score people on how long they stayed on a web page or landing page. If they stayed longer than one minute then use Remarketing on GDN, Facebook and LinkedIn. If those same prospects click on a Remarketing ad then send the lead to a sales rep and have them qualify it. Our demand generation program needed an extra shot to get my client to the finish line to reach revenue goals. So we trained their 20 inbound sales reps some very effective social selling techniques. Fortunately, more than half of the sales team were extremely enthusiastic to learn and apply cutting edge selling and marketing techniques. I've also included some of my SocialPro masterclass training videos that you'll find helpful. Pro Tip Teaching your sales reps how to use modern prospecting techniques to build trust and credibility has never been more important. 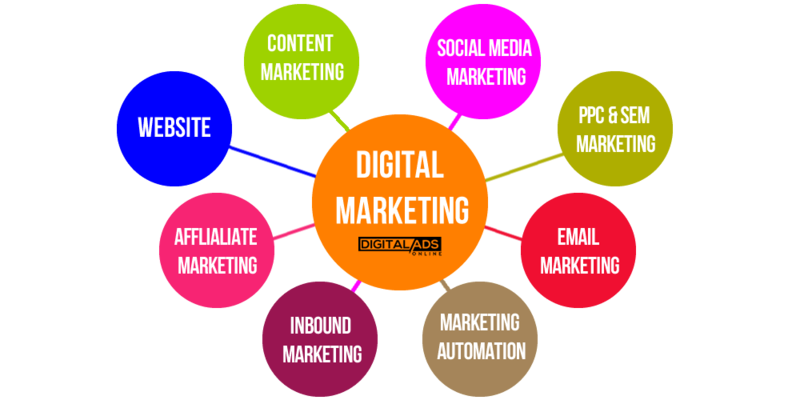 There are many best practices that include digital marketing channels and social networks. Combined, the strategy makes for a powerful and persuasive model for closing more business in a shorter amount of time. Use these seven digital marketing and selling techniques to build your business faster. If you're interested in learning more about digital lead generation and effective inbound marketing schedule a 30 minute call with me, Ronan Keane. Thanks for the great insight. As the Sales / Marketing leader for a VERY small company, the budgets you mention here are not small to us but way out of our league for marketing spending. I don’t think that a company that is already spending $180,000 a year in banner ads represents the an average small company, but I do think the insights you gave and the 7 Marketing techniques were great and I think will scale down to our budget – which is roughly $0. I appreciate the insights and will look for more in the future. We knew there was a demand for VoIP services and with the right budget and sales team we knew we could generate a healthy margin. The key is quick tests/smaller spends then optimize what works best. We got our PPC quality score to 8/10 for Adwords. We were literally paying $10 per conversion then nurturing with remarketing. And we were paying cents on the dollar to remarket to prospects. In my experience there’s no more cost-effective way to generate hand raisers who want to speak with one of your sales reps. Glad you found the insights helpful. Hi Ronan, do you have any suggestions for lead generation softwares? There are a few like LinkedIn Sales navigator, Aeroleads, Discoverorg, Zoominfo, etc which can be used with CRMs like Mailchimp? Hi Priyanka, thanks for your question. I believe you’re referring to lead list generation. In my experience, LinkedIn Sales Navigator is the most accurate and can be the best data application source since there are some good plugins and software the work directly with LSN. It can also be the cheapest. DiscoverOrg and Zoominfo are pretty good and if money’s no object then they’re both good solutions. Schedule a call with Ronan to discuss your lead generation and digital marketing needs.